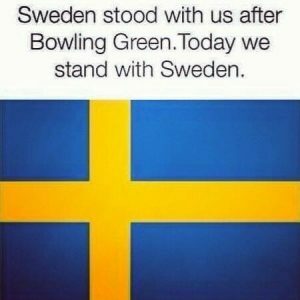 A shout out to Sweden, who is bigly hurting right now. Yeah, we’re assholes. But we’re your assholes. This week, we’re going for that uncomfortable moment when someone destroys something from your childhood. I recently had Overboard shattered for me, with entertaining results. Plus, one can never have enough Kurt and Goldie (please stay together that I can continue to believe in love the same way that Peter Cetera does when crooning hits used in The Karate Kid. I need something.). Thursday will see a recommendation for the charming Away We Go. Friday will be a little bit different: as I’ve fallen way behind on the eight ball, I’m going to give you some amazing female journalists that kill it as the celebration of Women In Horror this month. Grab a Zima and get comfy, babies. It’s about to get emotional.